"6 speed stick, 1800rpm at 76mph!" Planned upgrades/mods for the future are 17" wheels (as if the 16s aren't big enough already!! 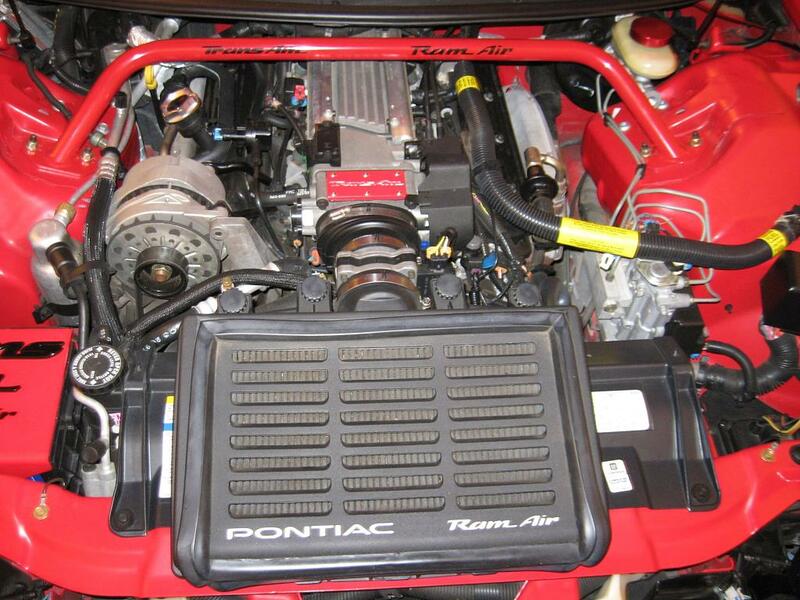 ), a better suspension, and a supercharger!! Bob also owns a cherry 1974 Formula 350. 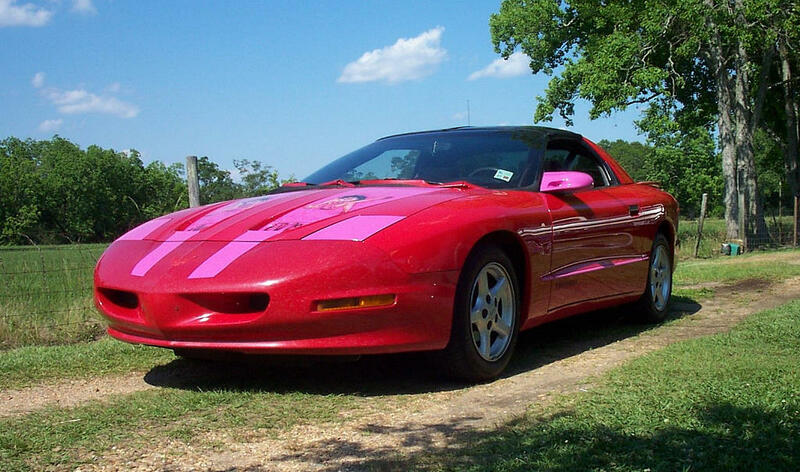 He's the original owner and has completely restored it. 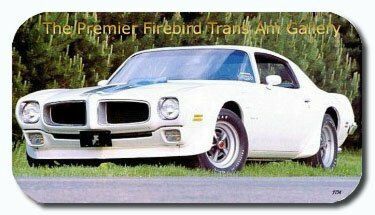 It can be seen a '74 Firebirds Lot#1. 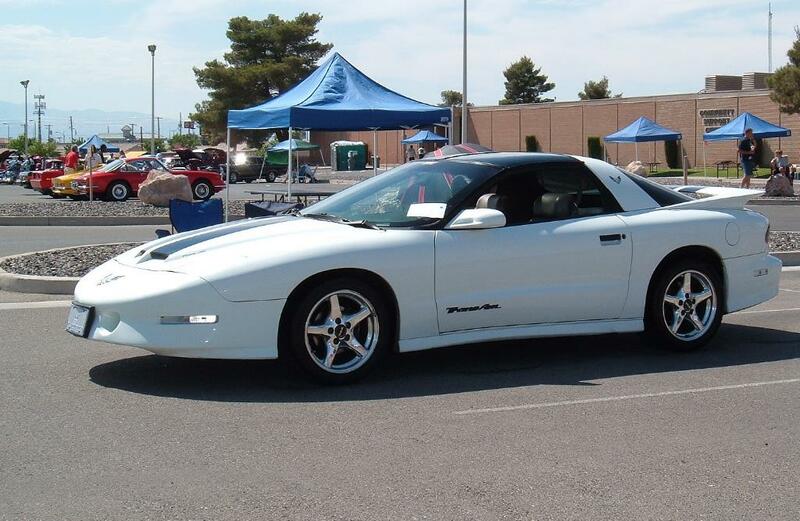 In addition he also owns and road races a 1999 Firehawk that can be seen at Road Racing Firebirds Lot#1. 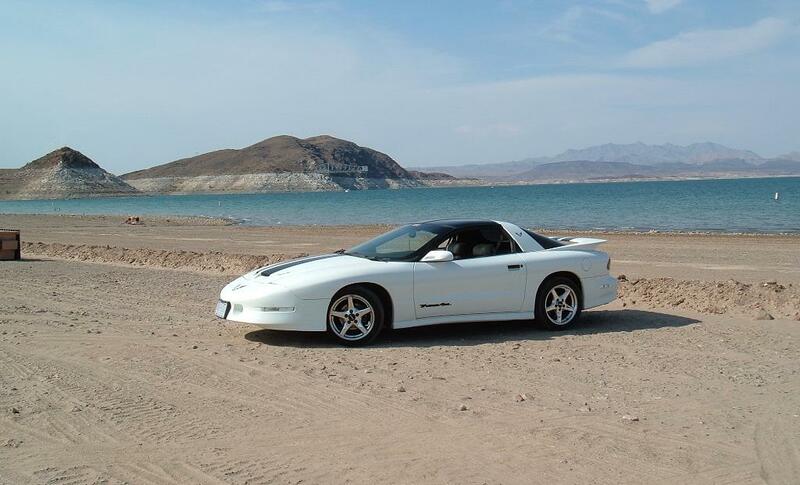 "(2nd Image) My first open road race in Nevada, September 1999. I was in the 110 mph class. 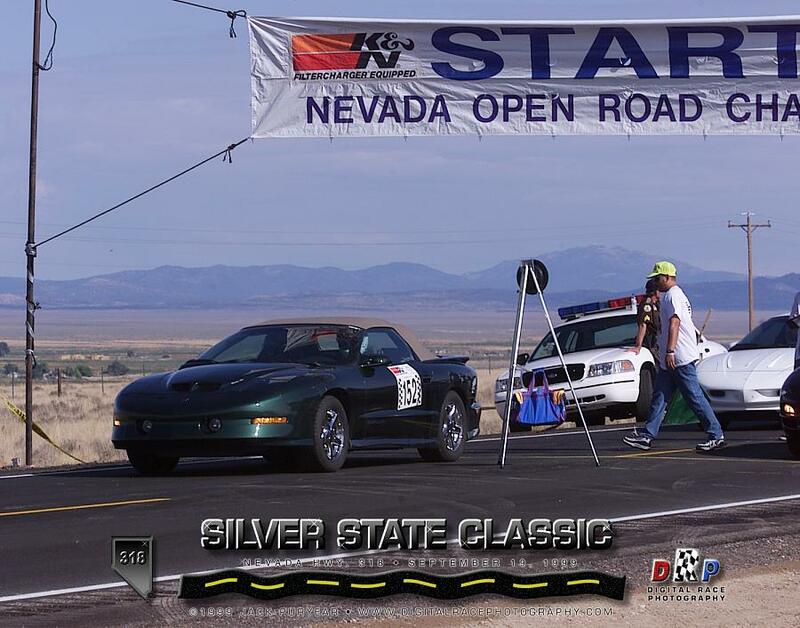 The timed event covers 90 miles of closed public highway in central Nevada, HWY 318. 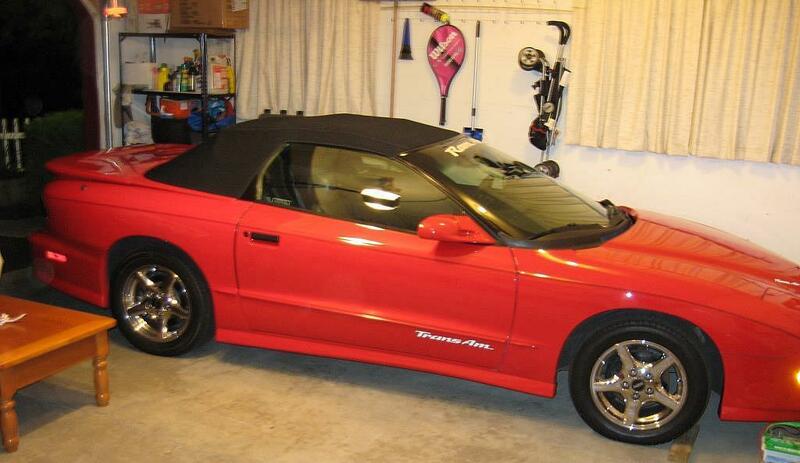 (Last Image) My first day racing the 1997 Trans Am. I happened to go off track in front of the track photography as well as my wife who was video taping the race." "I've known of the site for a long time, bout time there was one place to see everything. 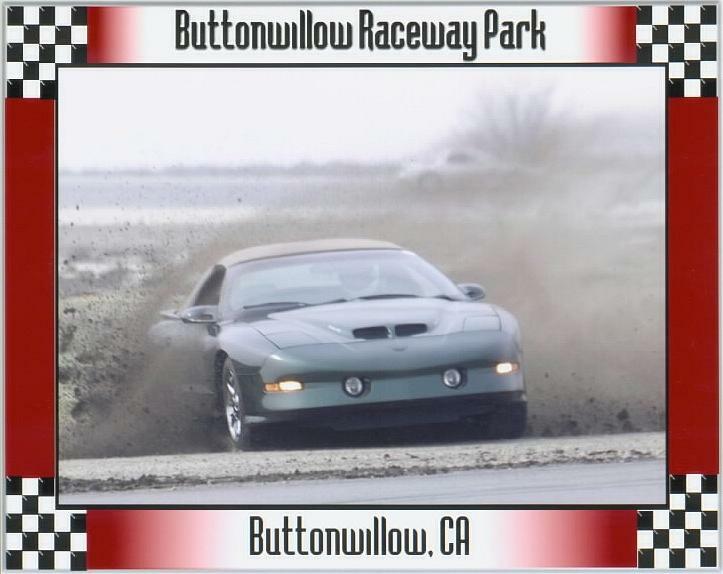 I'm the owner of www.WS6Racing.com, launched Feb 22 06. 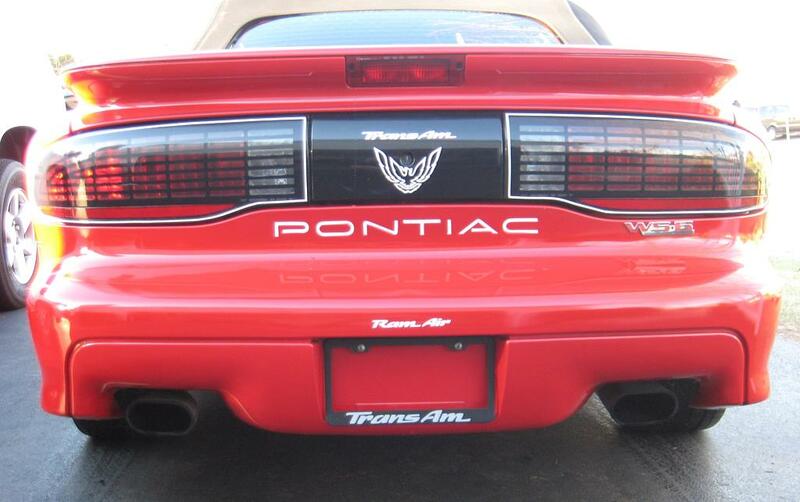 I've been into Trans Ams since I was 16. 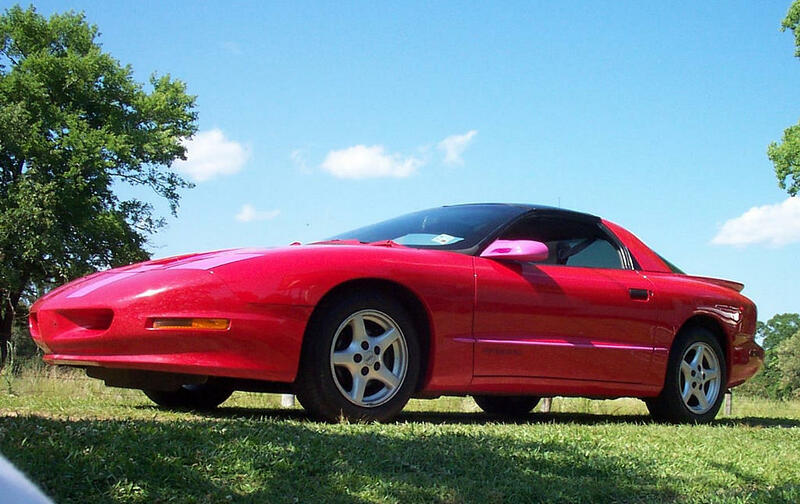 I have a '97 WS6 Trans Am, its a nice car and I'd love to see it in the Gallery. 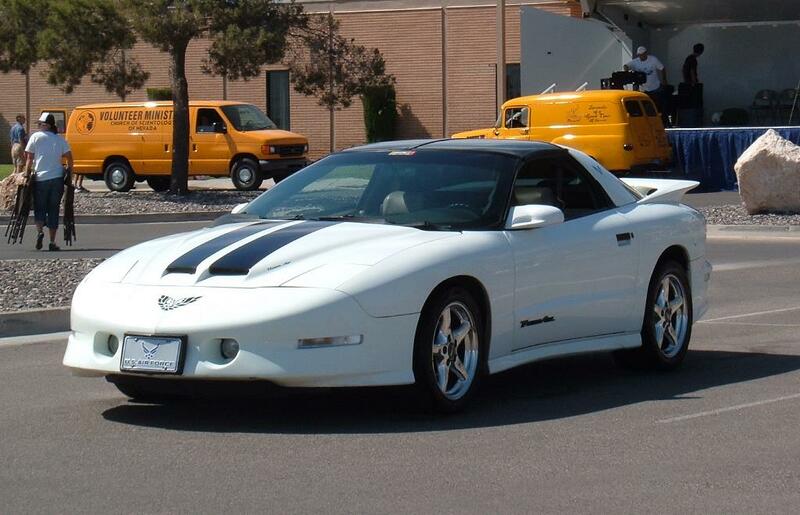 I'm the 3rd owner, it was a dealer car for a while and sold to a lady in Utah, then sold to my friend and bought as a wedding present from my husband :). 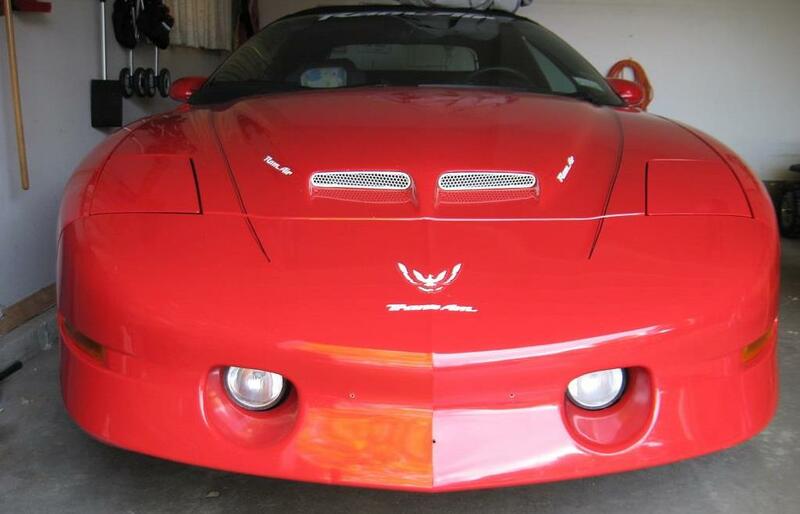 I affectionately named her "Amber", and most car related forums know her as such (LS1Tech, Firebird Nation, WS6Racing, FuelSlut, UFBA, etc.). 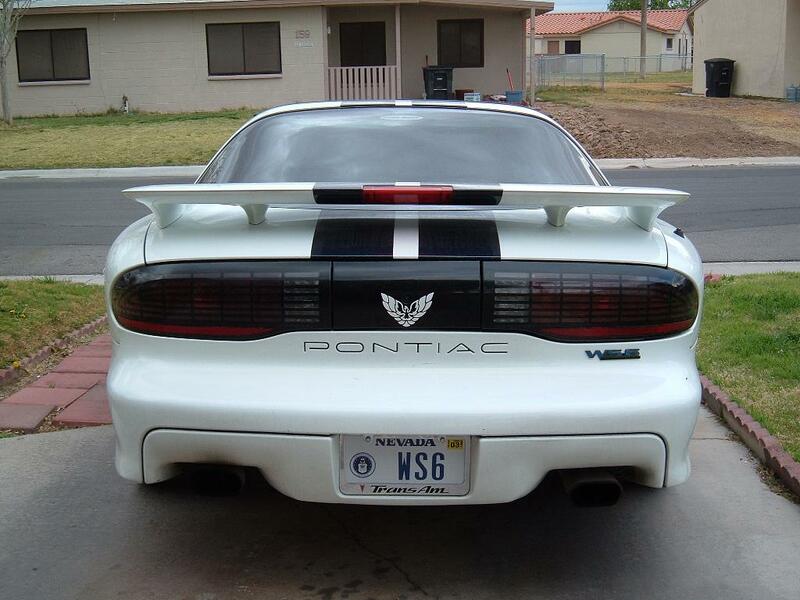 When I got her she was artic white with black decals, she's a real WS6 car, not a clone. Planning on a cam, which I have but haven't put in yet, also changing all red interior lights to blue LED's. The pic with the F-22 raptor isn't one I expected you to use, just a cool pic. 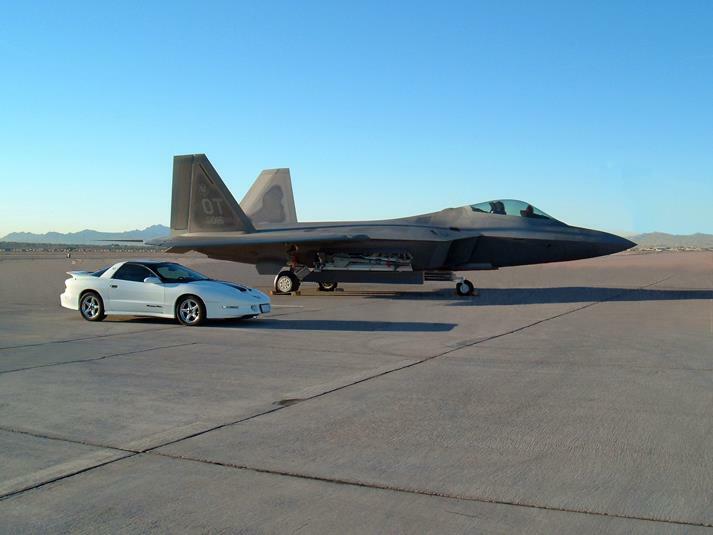 My husband is active duty Air Force here at Nellis AFB in Las Vegas and the general let me drive on the flight line and park next to a 22 raptor. Its been photo-shopped, there was a fence between us that was removed, but she's really settin' next to it. 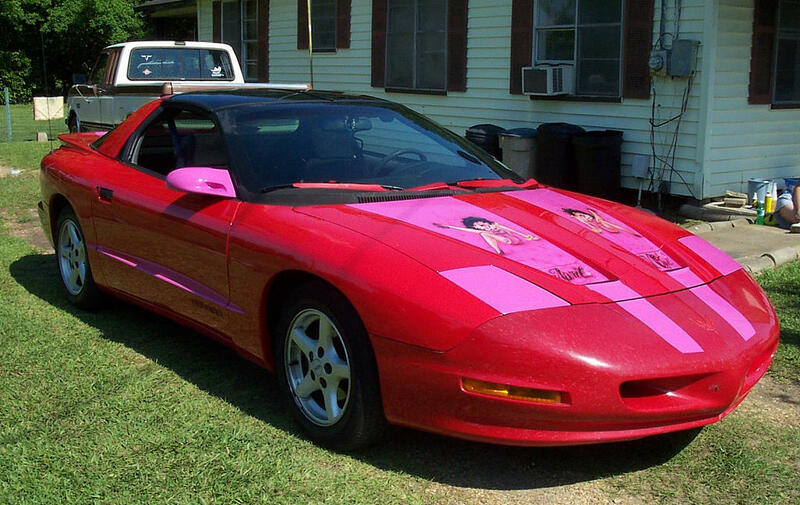 I'd love to see my car in the gallery, thank you so much for your time!" 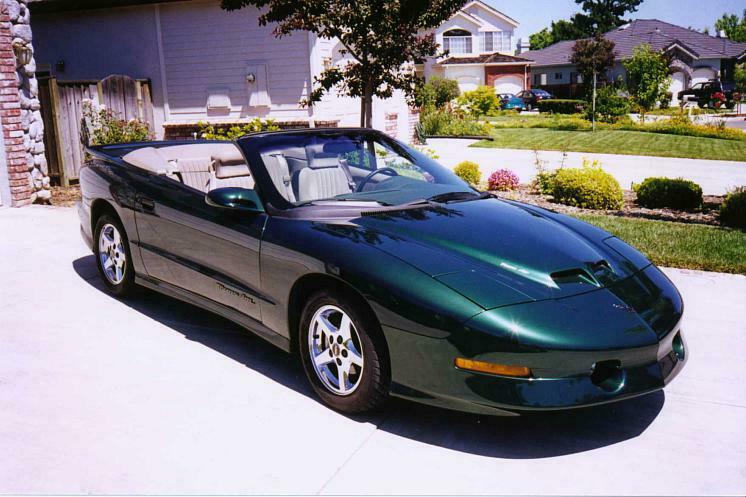 "1997 Ram Air Convertible w/ WS6. Original AZ car now in NY. No winters or rain. 72,000 miles. 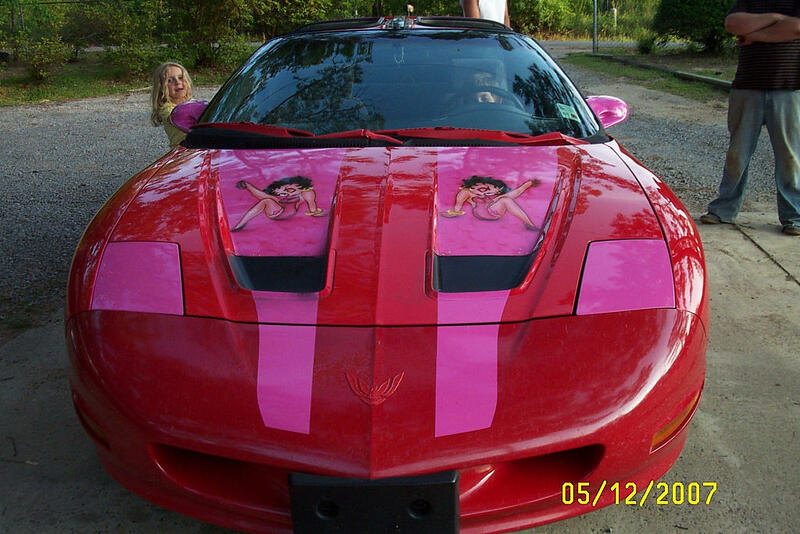 100% stock other than some decals (windshield, nose bird, rear bird and inlay, door emblems)." 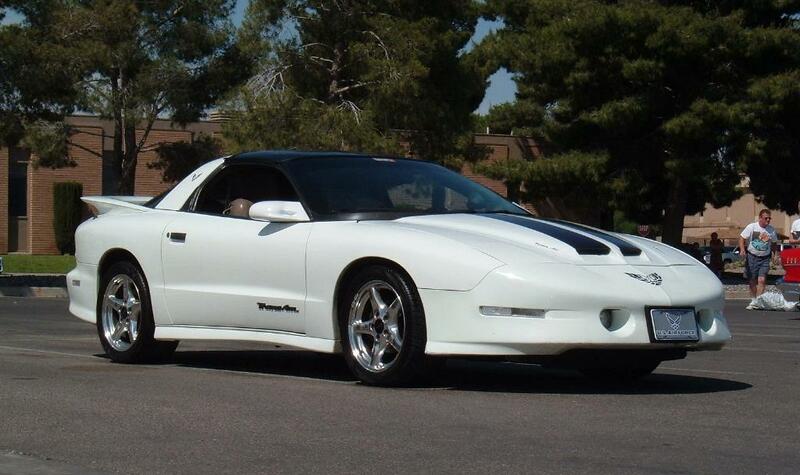 "This is my 1997 Firebird. I love it. 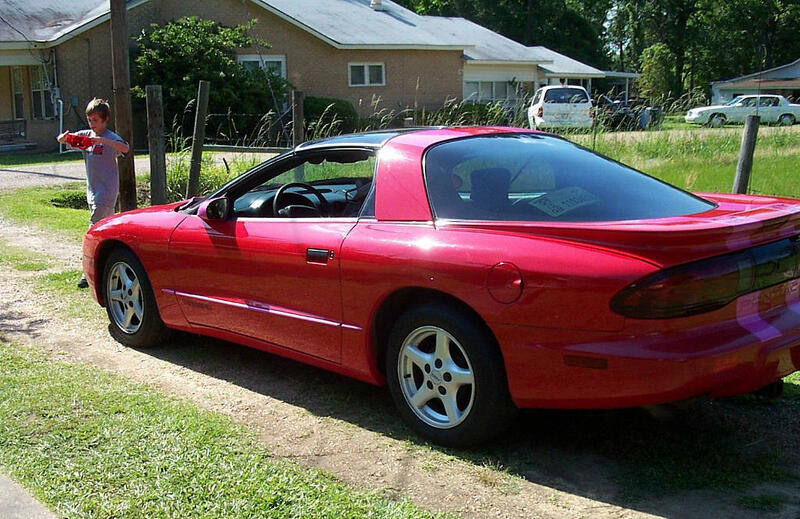 I am working on making it like new but love the T-Tops especially on a spring like day. Push that pedal down and just GO...THANKS FOR YOUR SITE, LOVE IT."